Today vodka makes up a third of the total consumption of alcoholic beverages in the U.S., and the leading best vodka brands Smirnoff and Absolut. In the mentality of people in Russia, vodka is undoubtedly the national drink. However, in terms of price, the “fire water” may well compete with the elite wine, whiskey and other fine spirits. Learning about world’s most expensive vodka in the next ranking is the main topic of this article. At the top of the list we find the Kors vodka . 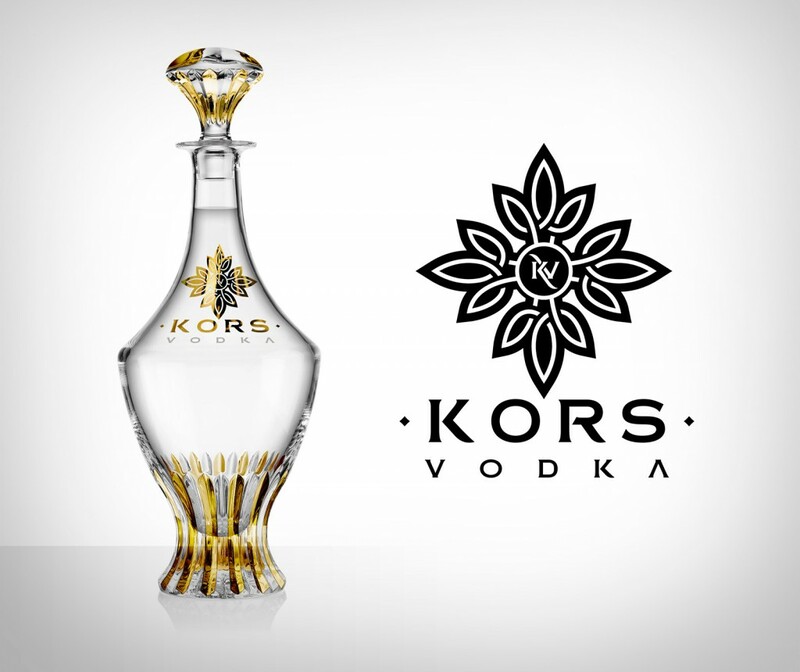 Prices range between $12.500 for Kors Vodka Silver, $16.500 for Kors Vodka Gold and $24.500 for Kors Vodka 24k, George V Limited Edition. Among the most expensive vodka we have the Diva vodka, with a price of one million dollars, created by Scottish company Blackwood Distillers. 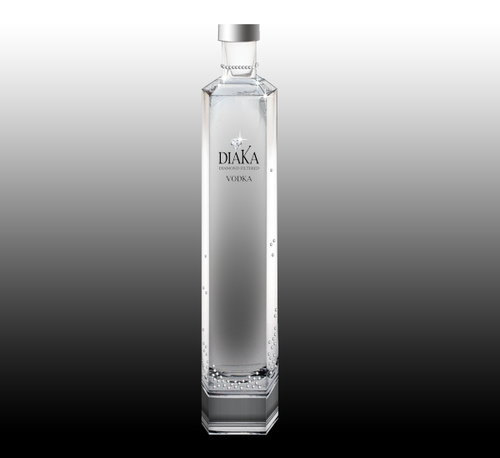 Made from pure spring water, vodka undergoes a triple distillation: ice birch charcoal and dust of diamonds and other gemstones. The same bottle is complemented with gemstones, the final price depending on which is theirs. The price range is between $ 3,700 and one million. And once again we find Russo-Baltique, in third place as most expensive vodka. This time the price of vodka is $ 740,000 and is further supplemented with Auto SUV. The beverage container is made with nine kilograms of pure gold. 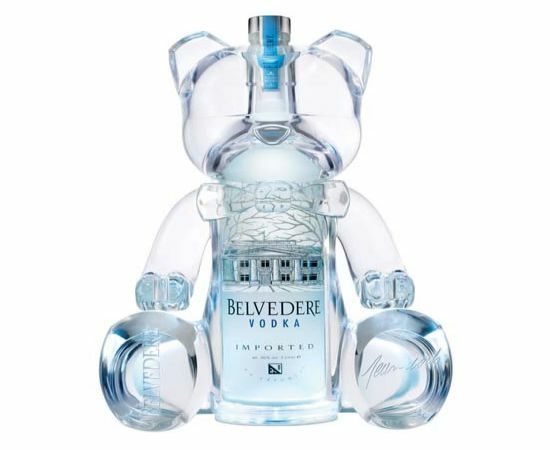 The Bears Belveder vodka is in fourth place as most expensive vodka, with a price of $ 7,240. 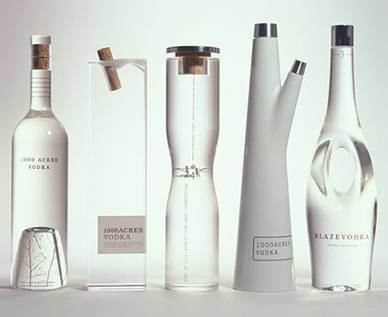 Polish vodka brand Belvedere elite launched this drink in a limited edition, exclusive to those attending the Cannes Film Festival, which took place in May 2011. The design of the bottle is in bear form and is equipped with backlighting. The fifth of the most expensive vodka is in the Oval Vodka Bottle with a price of $ 6,922. 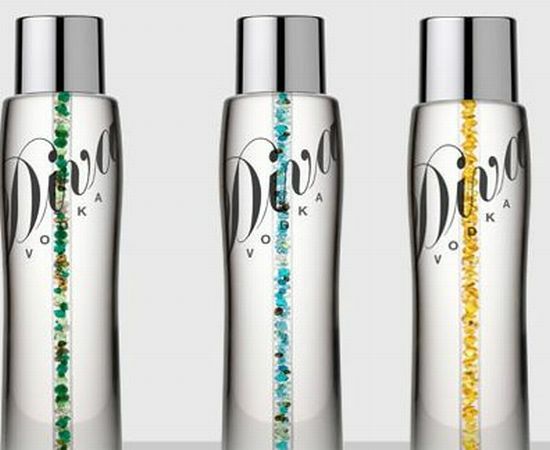 As the name suggests, the design of the bottle is oval shaped and is decorated with seven thousand Swarovski crystals. No doubt that this presentation urged the price of the drink. Svarovski vodkas only are found in the world’s most elite clubs. Iordanov Vodka ranks sixth with a price of $ 4,353. The bottle of this most expensive vodka is also decorated with Swarovski crystals, this time polyhedral. The vodka itself is made with high quality wheat and pure spring water. The container is made of a very durable material, so that there is no fear of breakage. The ranking is in seventh place with drinking Alizé Limited Edition, with a price of two thousand dollars. The bottle was launched in a limited edition Valentine’s Day, which makes logic in pink appearance. Within the glamorous packaging of most expensive vodka Alizé Rose cocktail, vodka-based French cognac, passion fruit, strawberries, lychees and roses. 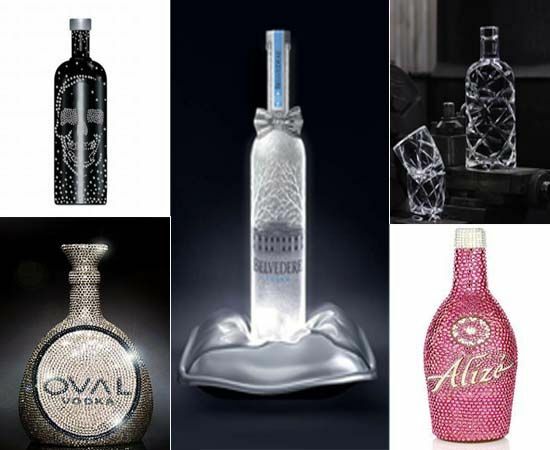 The eighth place of most expensive vodka is for absolute vodka Crystal, valued at one thousand dollars. The high price of this drink is determined by the development of its bottle, created with very bright polyhedral crystals. For $ 815 you can buy the vodka is ranked ninth in this ranking. The bottle of Grey Goose Vodka Magnum stands out for its design: goose wings unfold closing the container. And so the bird does not fly too far, the drink is packaged in a silver cage. The jewelry house Chopard works for the realization of this product, with a limited edition release of ten copies. Belvedere Vodka found again in this ranking. Priced at $ 800 ranks tenth. Product design is borne by the Italian firm Sine Labe Doli. The bottle is decorated with a bow tie and silver sequins. Absolut Vodka is out of competition closes this class. The product price is still unknown. However, it is known that the beverage container is made of the hardest material in the world, suggesting that its price will be very high. It is designed by Swedish designer Mats Svensson. This entry was posted in Best Vodka Brands, Luxury Vodka and tagged Most Expensive Vodka on September 24, 2017 by admin. The Vodka is a distilled beverage. The origins of vodka brands (and its name) is not yet clear, but its authorship is disputed between Russia and Poland. With the exception of negligible amounts of seasonings, consists solely of water and ethanol. 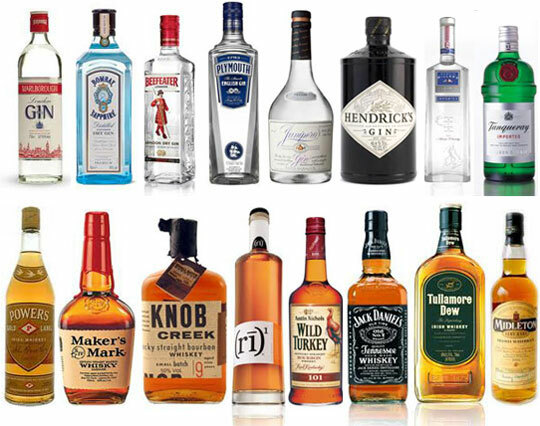 Many brands of vodka are generally produced through the fermentation of grains and other plant rich in starch, such as rye, wheat, or potato. Normally vodka alcohol content is between 37% and 50% volume, the vodka Lithuanian, Russian and Polish classic contain 40 percent alcohol. 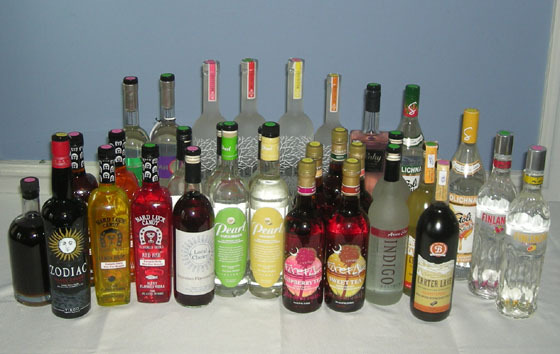 In Russia called vodka not only the compound of ethanol and water, but also many fruit liqueurs and liquors flavored cereal to non-distillate called “whiskey”. Vodka, in the Russian context, is a generic word, like the English “spirit”, used to designate any distillate brands of vodka. Russians never got a spirit that proves attractive because of their occurring substances, as did the Scots with barley-leading whiskey-and French with wine spirits of the Charente and Armagnac, the Mexican tequila, or the Peruvians with Pisco, but got something less interesting: tasteless distillate composed only alcohol and water. We discuss whether the Russians or the Poles who first produced it. The intention, apparently, was to get an alcohol concentration so high that the product could not easily frozen, because that alcohol freezes at lower temperatures than water, but it is in Russia, where the production of vodka first obtained its scientific base through research – Dmitriy famous Russian chemist Mendeleev, who established that the best alcoholic for vodka is 40 degrees, and as a demonstration of its scientific model, Mendeleev created the Moskovskaya vodka formula, which remains in the history of vodkas as vodka model. The Stolichnaya and Moskovskaya formulas are part of the National Treasury of Russia. It is nice with orange juice with any other juice or any non-alcoholic beverage, as the tonic or coke. It is the base for many cocktails have totally neutral flavor. Brands of vodka serve much better than Marc, who always drags the flavor of brands of vodka to make homemade liqueurs, by macerating fruit. Not tired. It lacks the toxicities of spirits based on the still, anxious not to lose the flavor of the raw material. Supports successive distillations to achieve desired. Before the arrival of the vodka as understood now-H2O + CH3-CH2OH, i.e. water and ethanol could not be induced flavor-mint, juniper, etc. – A pure alcohol and taste. They had to induce a brandy; a distillation imperfect flavor of matter came from. The ideal of the alchemists was completely isolate alcohol, even water. Vodka is pure alcohol and alcohol-water, but not absolute alcohol: alcohol without even water only. Absolute alcohol is expensive to obtain and only managed to get well into the twentieth century. 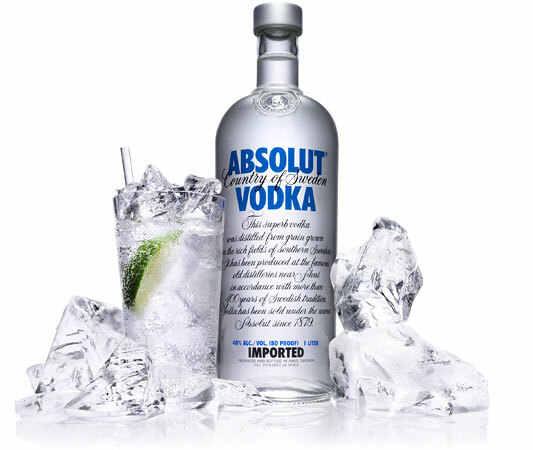 There are many brands of vodka, but the most famous is called Absolut vodka, very suggestive as a product, but has a 60% water, because the laws do not usually allow the retail sale of an alcoholic strength above 40 or 43 degrees. This entry was posted in Best Vodka Brands and tagged brands of vodka on September 24, 2017 by admin. The flavored expensive vodka segment remains the only in the alcohol market, after the global financial crisis is gaining momentum. 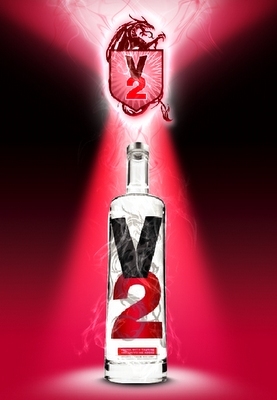 The world’s crisp vodka, the V2 – Dutch V2 Vodka contains alcohol strong and energetic. However, V2 is distinguished from the usual mixture of expensive vodka and Redbull by the absence of colorants, preservatives and sugar. The drink is made from the best varieties of wheat and the purest water and it is then mixed with a cocktail of caffeine and taurine. The manufacturers claim that this expensive vodka is very crisp and better than a cup of strong coffee. The world’s strongest vodka, the Pincer Shanghai Strength – The Scottish vodka Pincer Shanghai Strength is 88.8 degrees. The Scots surprised the world by creating expensive vodka with unprecedented force. A century of experience in the purification of alcohol is what this expensive vodka has. The water from the mountains of Scotland, selected seeds and thistle extract add softness to vodka, despite its high degree. The main market for this expensive vodka is China, explains the nature of the number “8″ in the Asian giant: is traditionally considered to be one of the happiest and therefore containing vodka August 3 only bring good luck. The mulberry vodka and hibiscus flowers, Chambord – The Chambord vodka brand is very popular in France. The drink is produced on the basis of the country purest water, wheat, hibiscus flowers and berries, and is used in the production of numerous cocktails. The flavored expensive vodka segment remains the only in the alcohol market, after the global financial crisis is gaining momentum. Iceberg Vodka, Iceberg – Canadian Iceberg the drink is produced from pure water that is in the Valley of the Icebergs near the island of Newfoundland. Since 1994, the sailor of the island pieces of icebergs has delivered several tons (averaging 12,000 years old and up to 10 tons in weight) the place of production of vodka where melt water combine with grain alcohol subjected to triple distillation. The manufacturers claim that vodka is the purest in the world, because the ice that used to make it was formed 12,000 years ago and the only pollution suffered volcanic dust was easily filtered. In the Iceberg website you can see a video and photos of how the fragments are delivered Newfoundland icebergs. Sparkling Vodka O2 – O2 Sparkling Vodka is very popular now. The drink was made by Philip Maitland who states that the celebration of the new millennium in Paris inspired him to create these kinds of vodka: watching their friends drank champagne. A Maitland, who prefers vodka, came up with the idea of ​​combining these two beverages. The development of this technology only took two years, after which the manufacturer patented his invention. O2 Sparkling Vodka is produced on the basis of the best varieties of English wheat, the purest water and passed through a triple distillation. O2 is believed that it is easier to drink, and enjoy if consumed in moderation. Today is no longer the only sparkling vodka in the world, is also manufactured in Lithuania and Sweden. This entry was posted in Best Vodka Brands, Luxury Vodka and tagged Expensive Vodka on September 24, 2017 by admin. Vodka is an alcoholic beverage known for exceptional quality that is loved and enjoyed by millions of people around the world. There are hundreds of brands of vodka and cocktail recipes, one of Russia’s best top quality-the witches called “The Queen of Liquor”. Over 3000 Russian vodka brands available in the market today! Indeed, one of the most popular vodka is the Black Russian, made with popular vodka and coffee liqueur drink, very popular around the world. The popular vodka, increasingly, is positioning itself as a distinguished and distinctive drink. A revival of this distillate, typical of cold climate countries, which is behind the gin and stay vocation. If you like fruity alcoholic drinks at the right place. Here are a few quick and easy ways to combine vodka with fruit juices and make a drink for every taste. It is now up to you to choose the one that suits you, your friend or family. We wanted to offer you the top 10 most visited vodkas our publication, to give you an idea of ​​what succeeds and is sought. 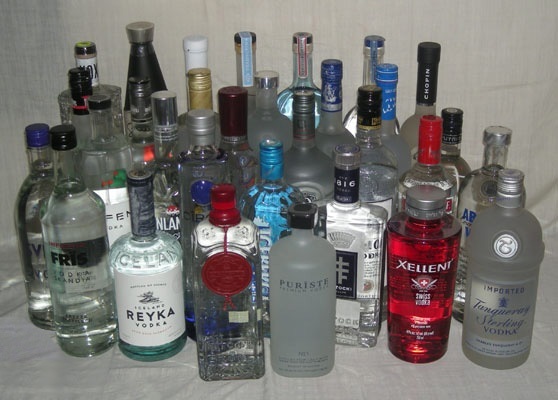 Most vodka is widely known brands, with production of million bottles a year worldwide. Preparation of solution: converting the grains are ground into flour, water is added and the mixture is made under pressure. During operation, the starch in the grains is converted into a mass of gel and then sugar which, under the effect of the yeast, is transformed into alcohol during fermentation. Fermentation takes about 40 hours and produces a fairly strong drink (about 90%) which is detailed, with this high amount of alcohol is guaranteed pure vodka produced. 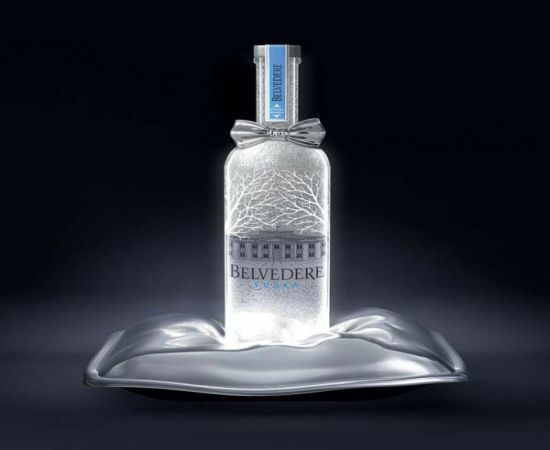 Belvedere is a Super Premium Polish vodka outstanding purity, not in vain, is quadruple distilled. It is ranked in our classification, number 10. The number 9 it’s up to vodka-ups, late 90s, with French nationality. 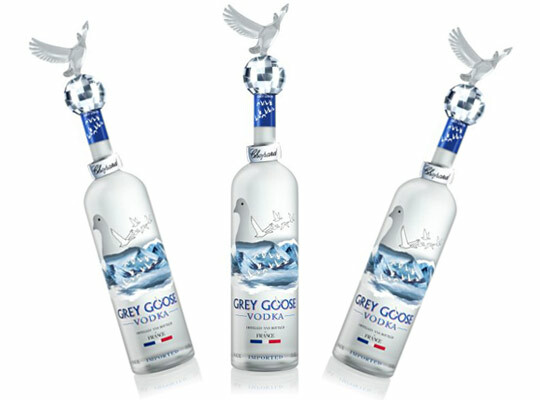 The Grey Goose premium vodka for sure, is made by quintuple distillation column stills. Come to the first of the vodkas from the area of ​​the planet that gave birth to this drink. Russian Premium Vodka Eristoff, gets placed with their triple distilled grain alcohol at number eight on our list. At number 7 we found another Russian vodka, Stolichnaya classic, obtained by distillation of alcohol quadruple wheat and rye, are from 1953 and received the name popularly Stoli. Russkaya ranked 6th, traditionally prepared a vodka altogether. This popular vodka is preferred by many, in particular by being distilled from sugar cane molasses. The Super Premium Beluga, of Russian origin, is placed mid-table. 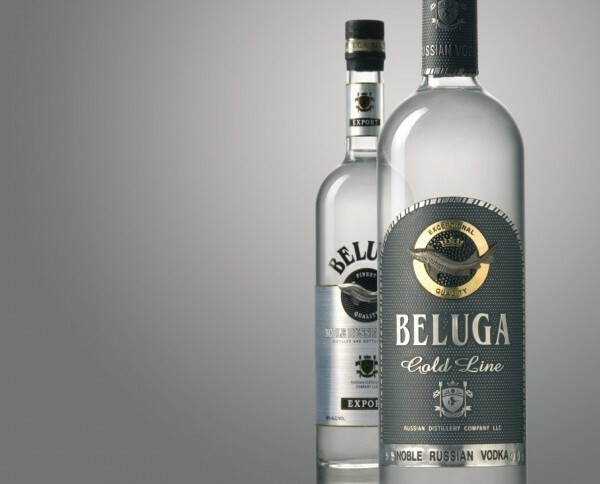 Distilled from a completely handmade and traditional, Beluga is based on malted wheat grains naturally fermented. We got to the fourth position with the Canadian Crystal Head vodka. This vodka, which certainly lives up to its name if we observe his bottle, is produced by distillation quadruple corn and wheat. We arrived at the podium; third place is occupied by a classic among classics. 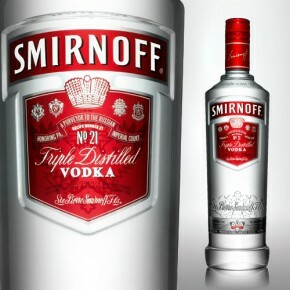 The popular Smirnoff vodka with a lot of history is behind them. In fact, it began producing, nothing more and nothing less, than in 1864. Popular vodka is Absolut, known among other things for its amazing designs bottles, placed as runner-up in our rankings of popular vodka. 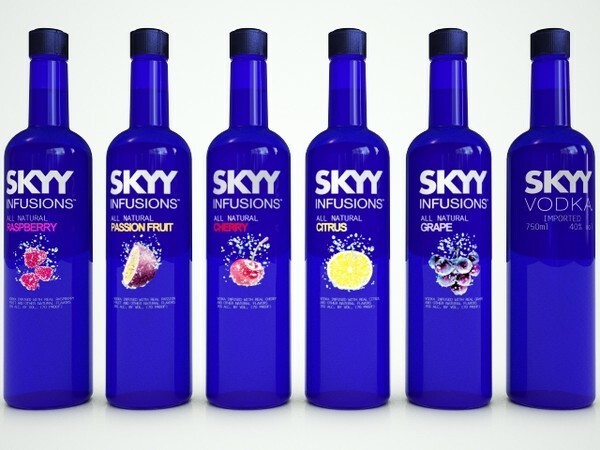 And the best of the best, the most popular vodka in 2012 is es.Vodkas.net SKYY vodka. This American vodka quadruple distilled and triple filtered, is the preferred and most popular among our audience. This entry was posted in Best Vodka Brands, How to Drink and tagged Popular Vodka on September 24, 2017 by admin.